We tend to use our grill all year round, even when it’s snowing and it’s cold outside. But, we use it a lot more during the summer. It’s the Colombian thing we have in our family. 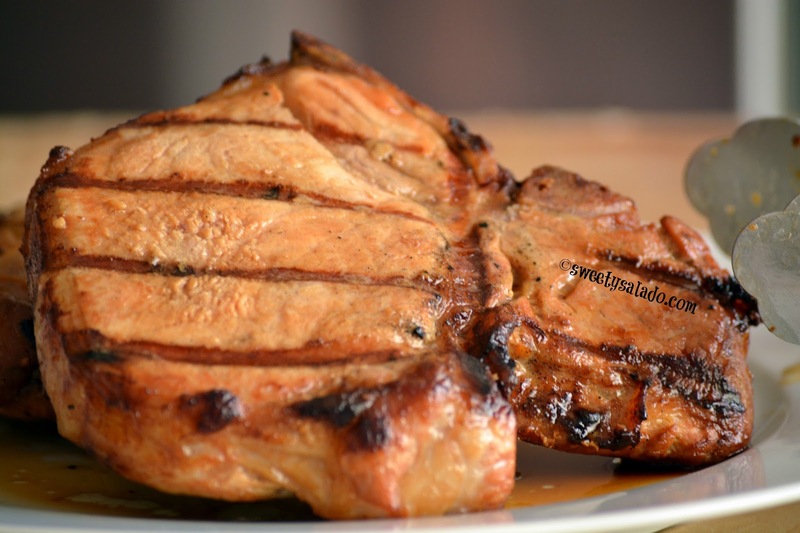 We grill steaks, chicken, all kinds of vegetables, burgers and lots of pork meat, like the pork chops we’re grilling in today’s recipe. I found this recipe online years and years ago and make it so often that I have it totally memorized, even with the changes I made to it. I knew I had an old print out stashed away somewhere in my recipe binder but I simply could not find it. In the end, I ended up doing an extensive Google search just so that I can give credit to the source and after a long afternoon of searching, I found it. Like I said, I made a few changes to the recipe, mainly to adjust it to my taste but the result is an outstanding piece of pork. 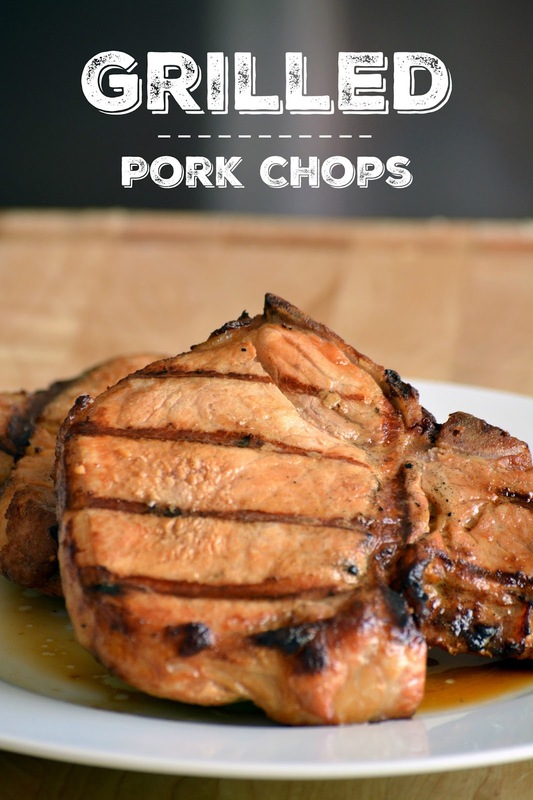 I have used it to make thick and thin pork chops, pork loin and even ribs and they all come out delicious. Place the first 9 ingredients in a large resealable bag to make the marinade. Then, add the pork chops and close the bag. Massage it well to make sure the pork chops are covered with the marinade. Refrigerate for at least 4 hours, preferably overnight. Pre-heat the grill on medium heat. Take the pork chops out of the refrigerator and let them rest at room temperature for about 15 minutes. Grill them for 7-8 minutes per side. Make sure to cover the grill while they're cooking or cover them with aluminum foil. Let them rest for about 5 minutes before serving.